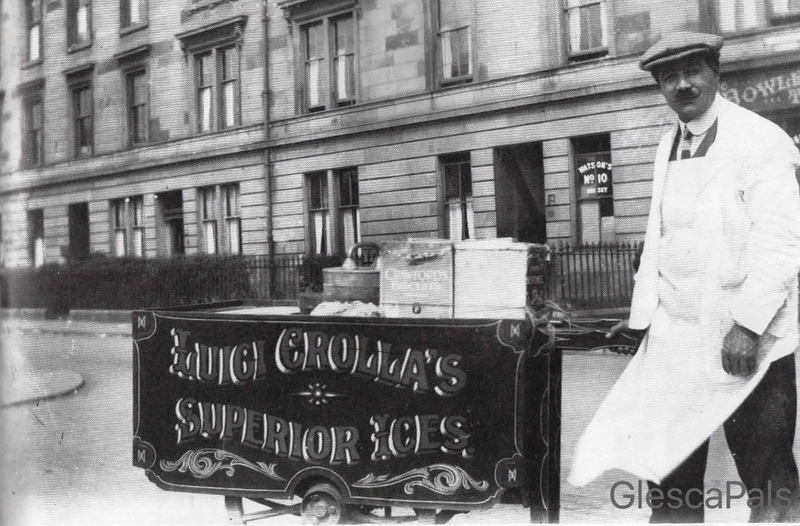 Luici Crolla ice cream seller in Greenhead Street, Bowlers Bar in the background. Greenhead Street looking east along Tullis Street. 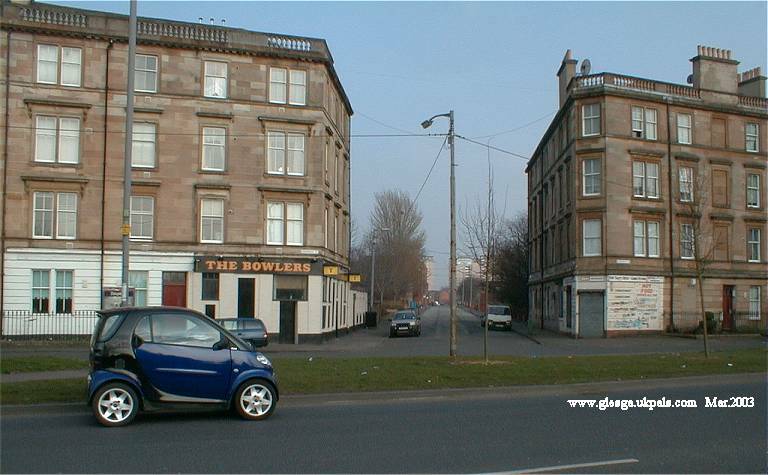 'The Bowlers' pub and the wee sweetie shop opposite have closed and are derelict. Greenhead Street looking down Tullis Street, Ruby Street high rise flats in the background. Feb.2006, extract from GP messageboard GlescaPal, Wilma, Canada. 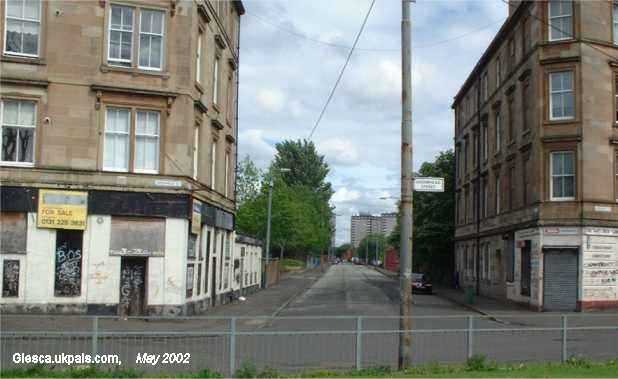 Webmaister...a wis oot wae ma cousin oan Friday...the wan that lived oan the top flat of that picture ye hive o' the Bowlers oan Greenhead Street. Anywie we saw a wee motur jist like yours an a pointed it oot tae her. She thinks yer jist wonderful fur she's noo 82 and it's just such a great thrill for her to see the home she lived in before she was married. See whit wonderful things ye dae fur people......ye jist throw lots of happiness oot tae sae mony people. We're proud tae know ye.